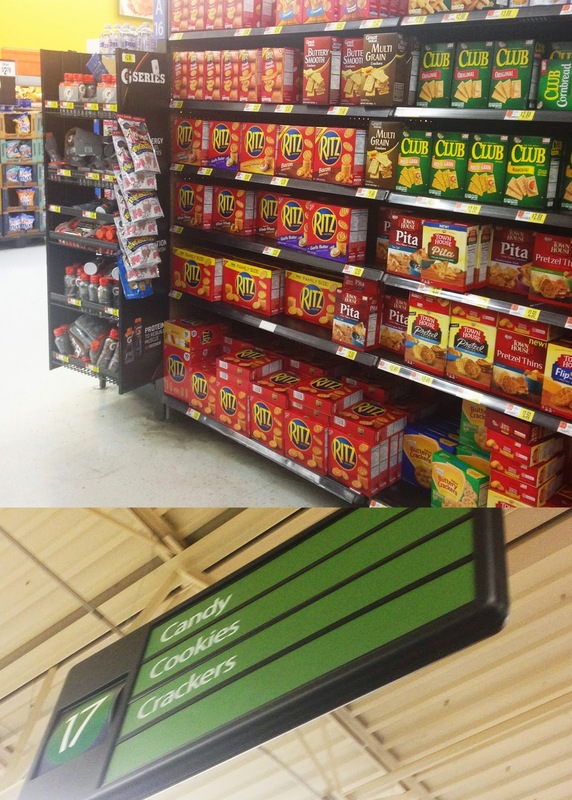 This shop has been compensated by Collective Bias, Inc. and its advertiser. All opinions are mine alone and as always, I never promote a product that I don't personally use. Who's ready for football? 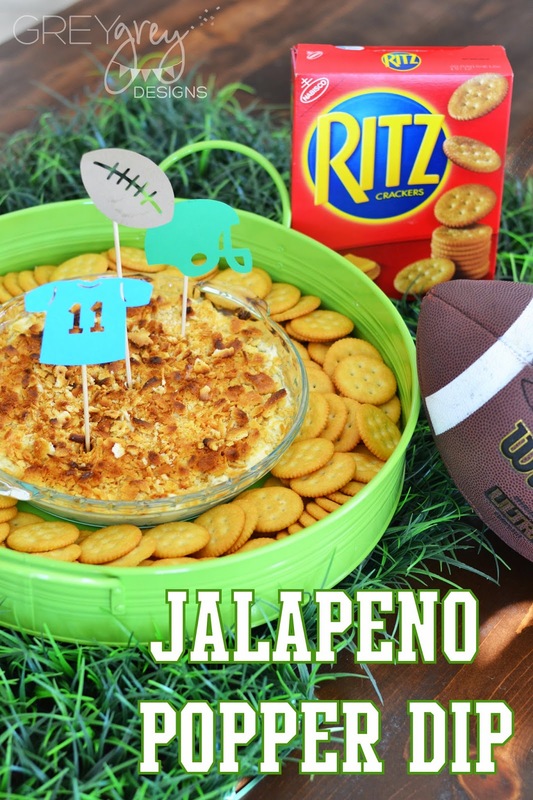 My family and I have a tradition on the night of the big game and we call it "Dip Night." 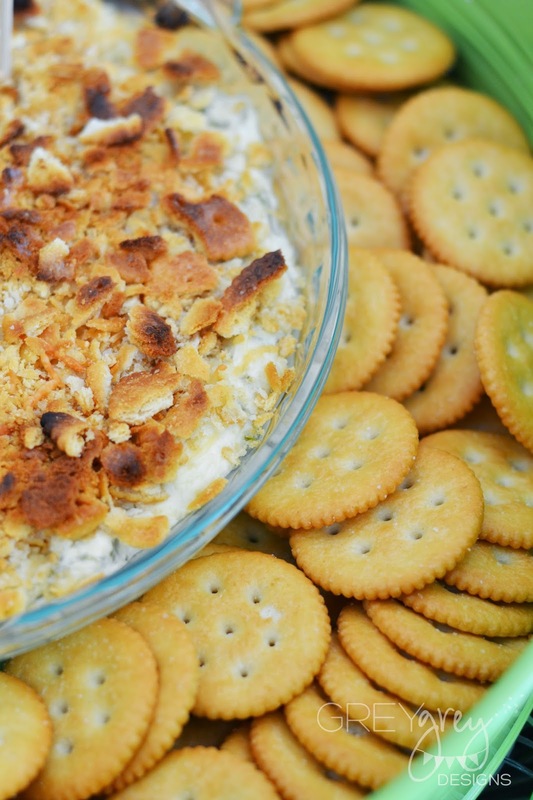 I make several different dips and we all gather around the TV and eat our dips right off a buffet on the coffee table. This recipe is so delicious! It's like jalapeno poppers without the mess of the fryer! 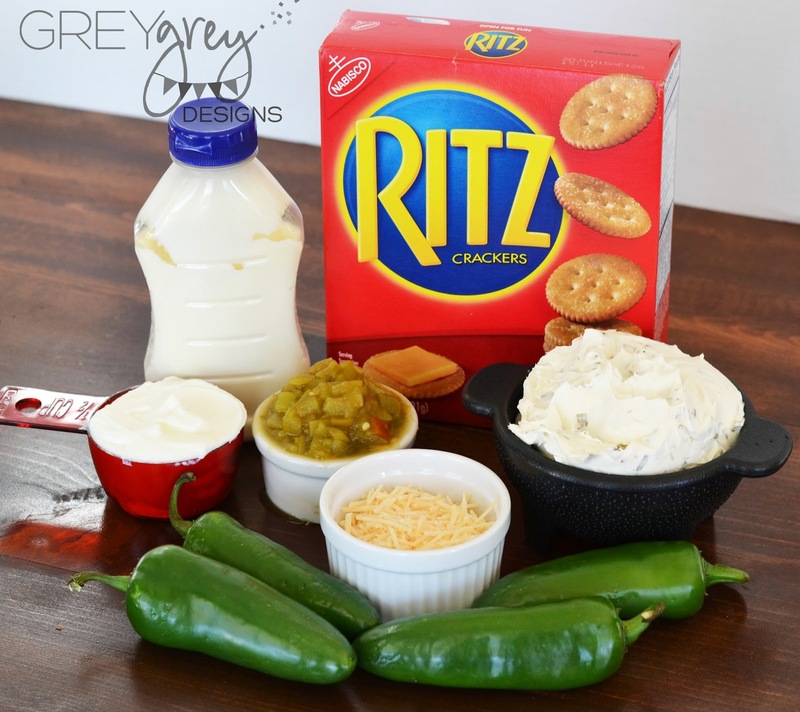 This recipe starts with a trip to Wal-Mart where I picked up some yummy ingredients, including Ritz Crackers. 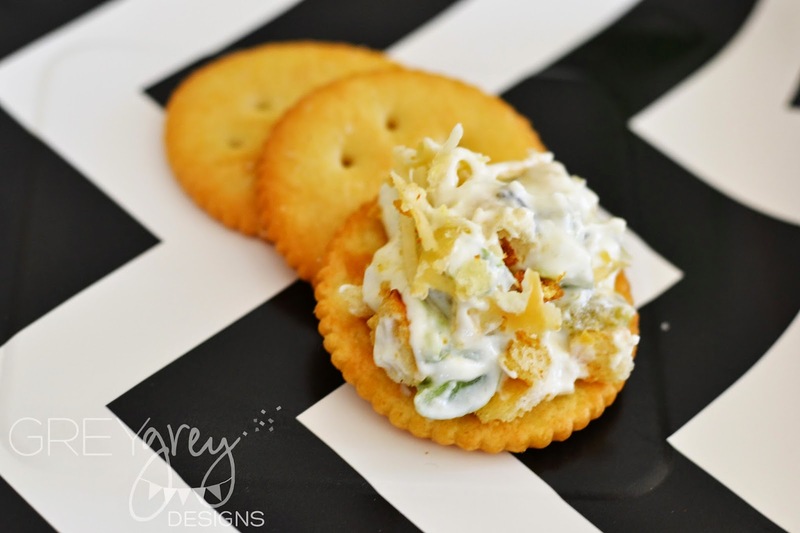 They are not only perfect for dipping, but also for a crushed topping for the dip! 2 Whole (8oz) Pkgs Chive and Onion Cream Cheese, softened. 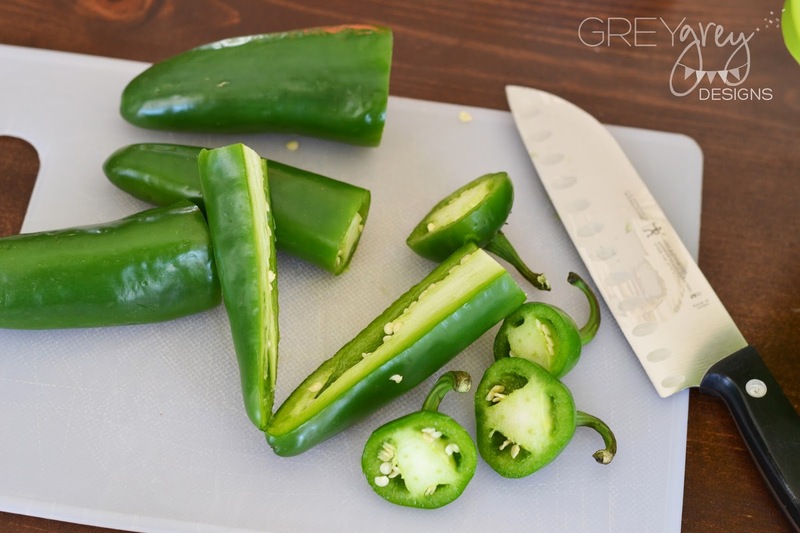 When you slice the jalapenos, make sure you remove the seeds and some of the membrane too, to lessen the heat, And, remember to wash your hands really well after you finish chopping, or you will be really sorry when you rub your eyes or nose lately! Take it from me! Stir Together cream cheese, sour cream, and mayo in a large bowl. Add drained green chiles and jalapenos. Pour mixture into an oven safe dish and sprinkle the parmesan over the top. 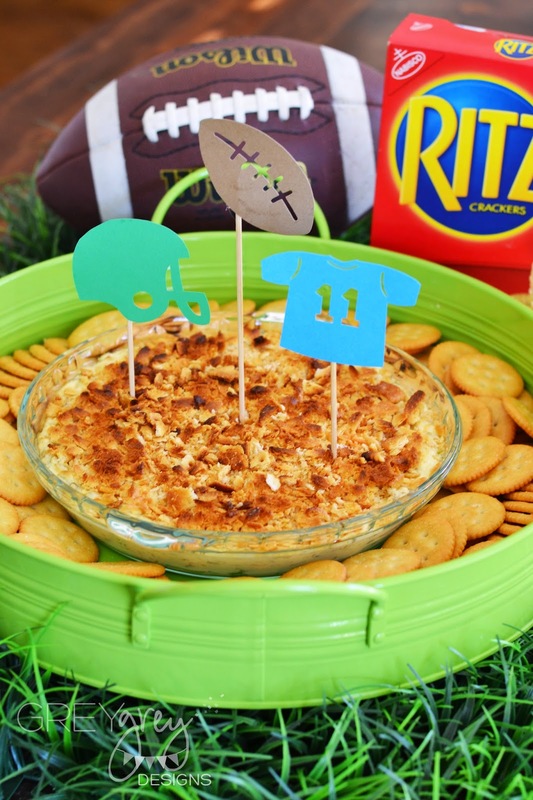 Add the crushed Ritz Crackers to the top. Bake, uncovered for 15 minutes. then broil for a few minutes to brown the top (if needed--mine browned up just fine without the broiling). 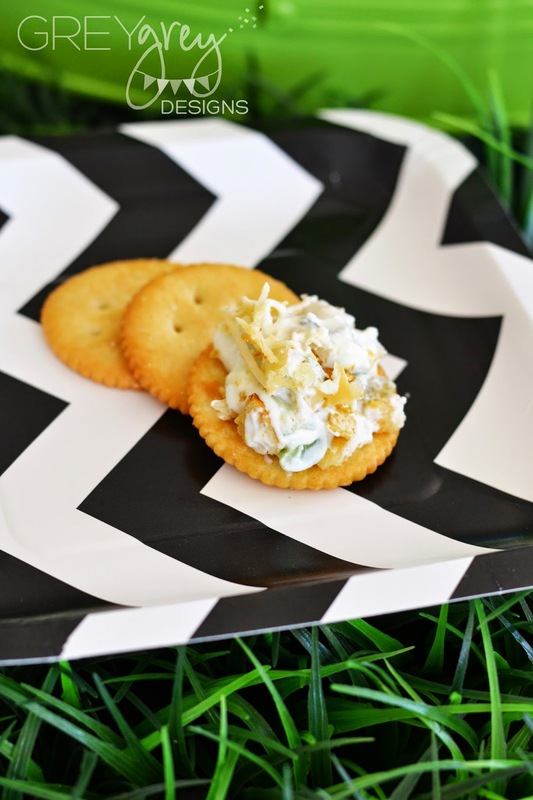 I served mine in a really cute round green metal tray with handles, which makes it easy to get to and from the table. To really up the cute factor, you can serve it on these adorable grass mats. Now is the time of year to pick some of these up at your local craft store. I have had these for years and they come in SO handy for a variety of parties. 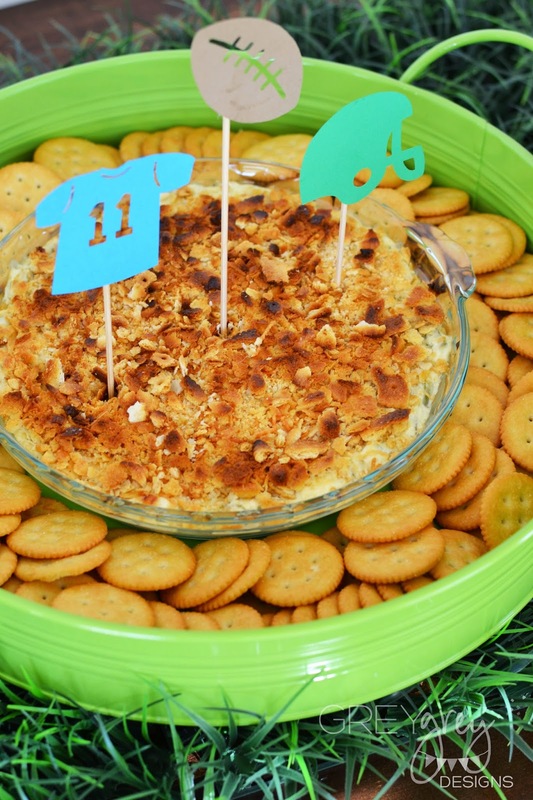 If you serve this to hungry guests at your football parties, I guarantee it will be gone! 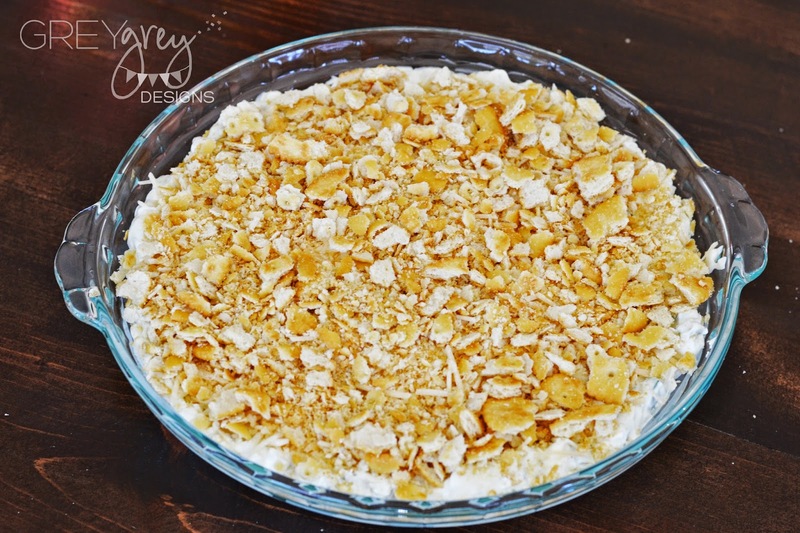 It's warm and creamy and delicious and perfect for wintertime parties. 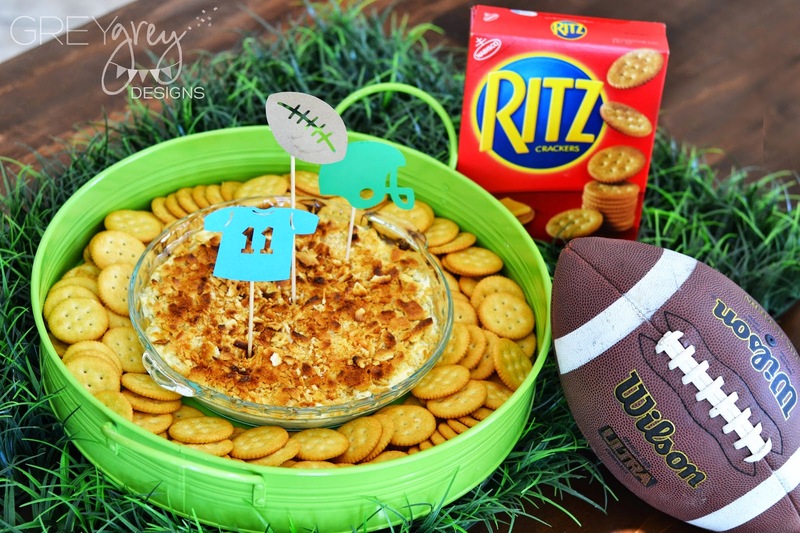 Have fun at your big game parties this year! What are your big game traditions? Leave me a comment and tell me about them!